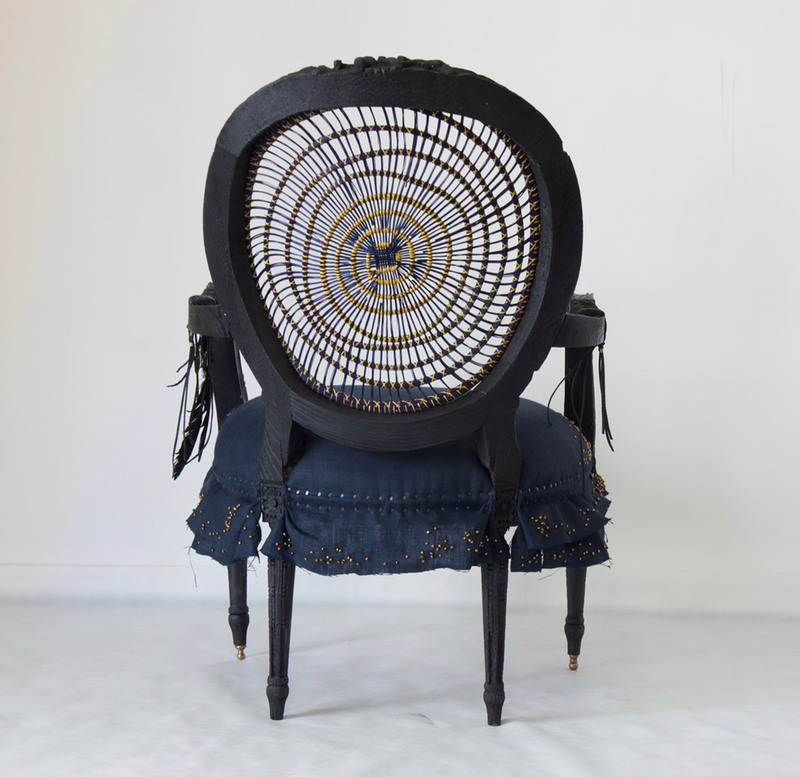 Cape Town-based artist Atang Tshikare and designer Eve Collett used feather-like woven grass and charred wood to create this antique-looking chair. 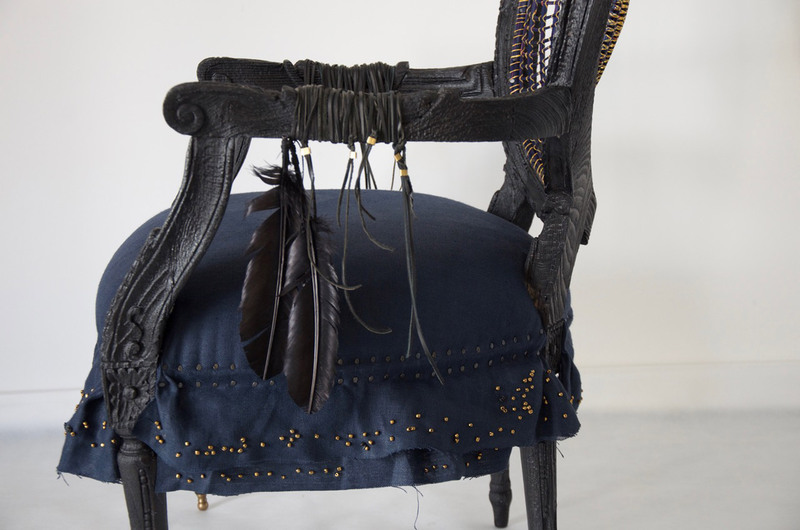 Launched in August, as part of an exhibition named We are Cape Town at Decorex Cape Town, Leifo is designed to "decolonise the antique chair", through the use of unexpected techniques and materials. 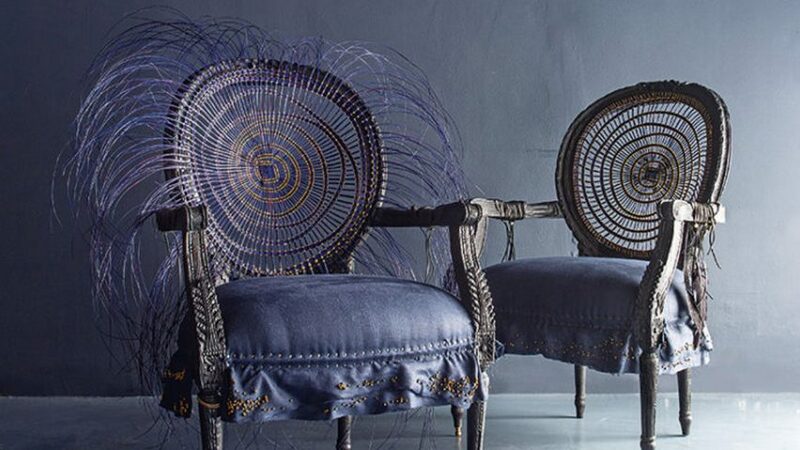 Tshikare and Collett gave the chair a broad circular back and a pin-cushioned seat. Their aim was for the piece to be reminiscent of winter evenings spent in front of a roaring fire. This is referenced in both the charred woodwork and the name Leifo, which translates as "fireplace" in Sesotho – the language spoken by the Basotho people in Lesotho and South Africa. "The inspiration behind the design evolved from long winter evenings spent telling stories around a flickering, warming fire – hence the burnt black finish on the carved wooden arms and legs," Tshikare told Dezeen. 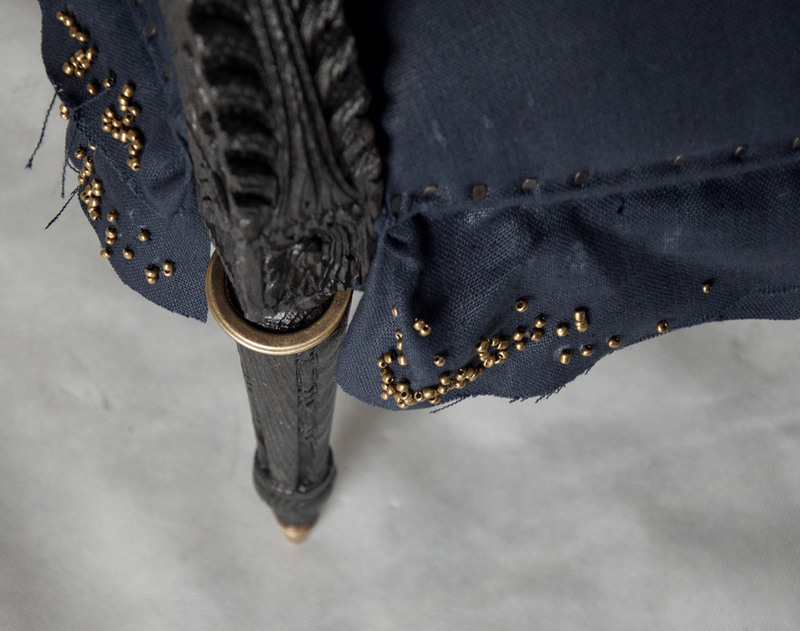 The upholstery is also based on this idyllic scene, with midnight-blue fabric combined with brass beading to represent the sparks sent up by a fire as it burns. For the woodwork, the designers looked to the work of Dutch designer Maarten Baas, whose successful Smoke chair – developed for his graduation show at Design Academy Eindhoven in 2002 – was made by singeing a second-hand piece of furniture with a blow torch. "We were inspired by the Dutch designer Maarten Baas and the way he chargrills his antique furniture," explained Collette. "I like using the charred technique as it creates a new form out of a classical shape – slightly distorted and imperfect." 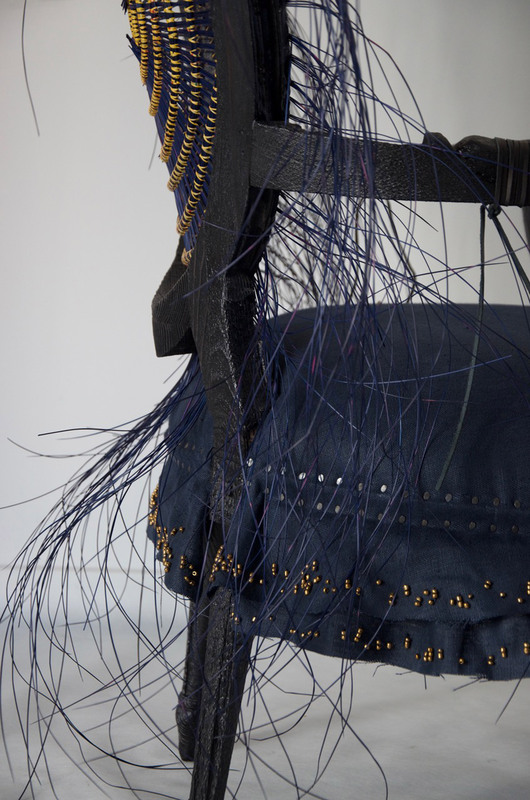 As well as using this more unconventional method, the designers applied traditional South African techniques of grass weaving to the chair's backrest. "I am beginning to use native materials and techniques in my work from South Africa along with the surrounding countries like Lesotho and Mozambique," said Tshikare, who learned the technique from his grandmother. "I have just had a group show in Amsterdam where I showed more works using woven grass, and I will be exploring working with native artisans and designers to create my works more often." Tshikare is the founder of Zabalazaa Designs, an independent studio specializing in surface design and illustration, while Collett heads up furniture design studio Casamento.